Paul and Shan Pearson moved to Kelowna in 1991. After Paul had completed a successful football career playing for the Toronto Argonauts. One of the highlights after a grey cup win against the BC Lions in 1983. After football in 1987 Paul owned and operated a Pizza Pizza franchise in Brampton Ontario with Shan. British Columbia was home and where family was, so they decided to move to Kelowna with their two boys Michael and David to be closer to loved ones. 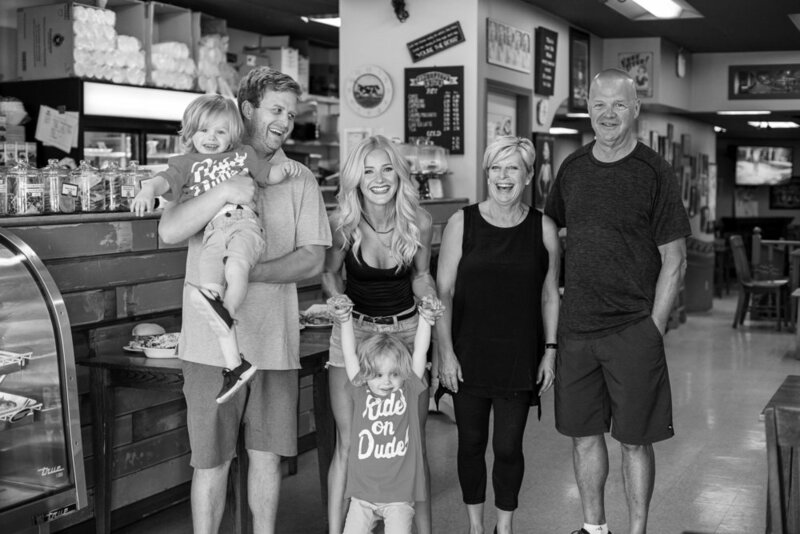 Paul and Shan purchased the European Deli in 1991 and with the help of Shan’s parents (Dave and Orfi) put personal touches to an already established lunch place to make it their own.